Wusthof Cutlery, makers of premium-quality knives, are now offering a new 6-piece in-drawer set! Perfect for anyone from culinary professionals to home cooking enthusiasts, this knife set is a great way to get Wusthof quality at a great price! Wusthof Gourmet knives offer full-tang blades (on all knives longer than 12cm) manufactured from a single piece of steel for a very sharp, easy-to-maintain edge. The synthetic handles are riveted for a seamless, hygienic fit. This set includes an 8″ cook’s knife, 8″ bread knife, 5″ tomato knife, 4.5″ utility knife, and a 3″ paring knife. Also included are a 2-stage pull-through knife sharpener and a wooden in-drawer knife tray (perfect for maximizing counter space in a small kitchen). This set makes an awesome gift-take a look today at www.knifecenter.com! Simple, economical and effective! This ceramic rod can help keep all your knives razor sharp. Use it like a kitchen steel or work the final bevel on the ceramic surface for a smooth finish. These are made in Taiwan and are about 1″ in diameter and 16″ long including the handle. We mentioned these last week in the specials email, but wanted to remind you about them – they are that great a deal. We have sets of four sharpeners in different grits to give your knife the perfect hone, and sets of two different size sharpeners to keep in different places around the house or car. Get a set before we run out! A classy new offering from SOG Knives. This carbide tip sharpener is a snap to set up. The suction cup system and small size make it a real natural for a kitchen or anywhere. This second generation model sits up about 3/4″ higher than the first generation. This should make the sharpening easier. It’s small, so will store easily and suts up in a quick motion and then will effectively dress up a blade quickly. We’re not sure if SOG will offer replacement carbide tips, but the ones supplied should last a long time and these are very reasonably priced. Accusharp GardenSharp Tool Sharpener and More! 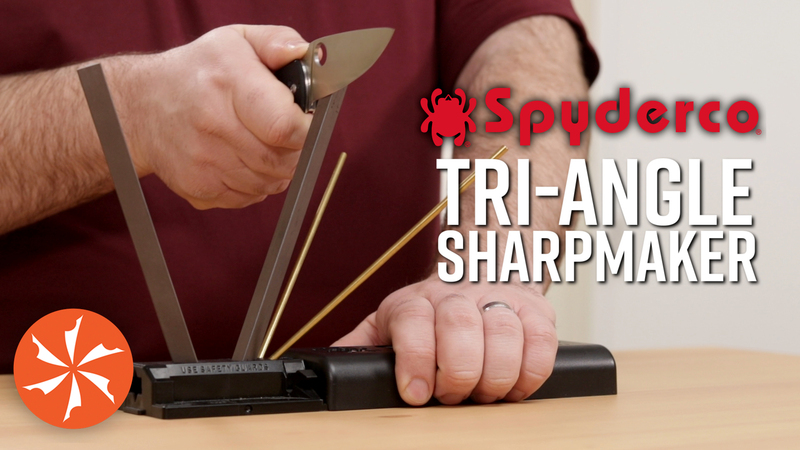 We’ve added a few more Accusharp sharpening products. They are inexpensive, work great and most are in stock! Dress up all your knives and tools with these great products!